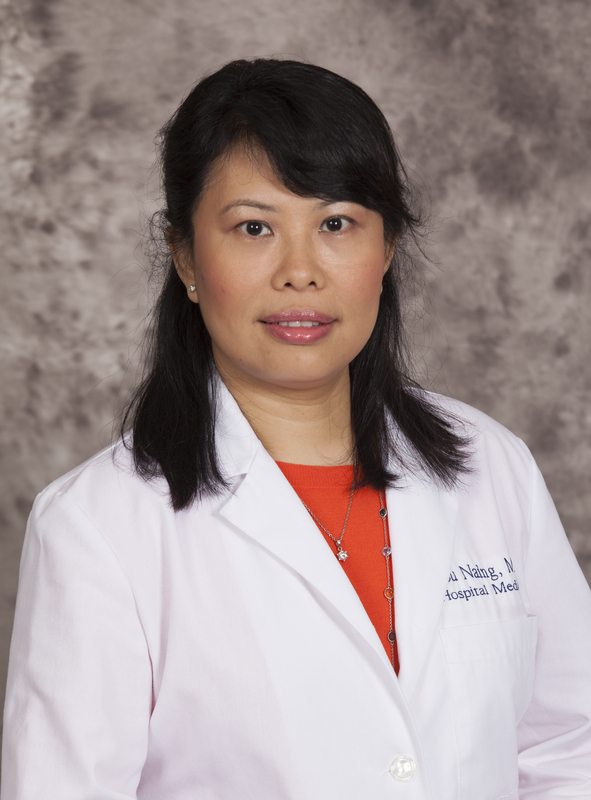 Dr. Su Naing is a board certified Internal Medicine Hospitalist who earned her medical degree from Western Illinois University in Macomb, Illinois. Following medical school, she completed her internship at the Wyckoff Heights Medical Center Program in New York and her residency training at the Abington Memorial Hospital in Pennsylvania. Dr. Naing’s research experience includes identifying the risk factors for severe Hypoglycemia in hospitalized patients and a study of the utilization of basic health care provided by volunteer health workers. Dr. Naing is a member of the American College of Physicians and the Society of Hospital Medicine.